MIDDLEPORT — The 143th annual meeting of The Meigs County Historical Society was held recently in Middleport at the future home of the Meigs County Museum. The meeting was opened with the Pledge to the flag led by President Shannon Scott followed by the Lord’s Prayer. First Vice President James Stanley gave an update on the 2019 Meigs County Bicentennial and the many events planned for the year. Jay Russell listed the 2018 accomplishments and thanked all those near and far that helped whenever an appeal went out. James Stanley, Chloris Gaul-McQuaid, Vicki Hanson and Patty Grossnickle were reelected to the Board of Trustees. MCHS member Bob Graham announced the donation of his extensive photo album collection to the museum. 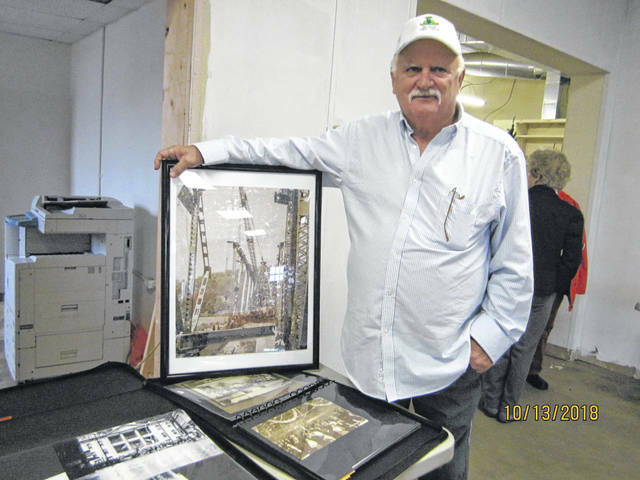 A room will be set aside for visitors to view the many pictures of earlier businesses, as well as scenes and events of Meigs County over the years. This will be a wonderful addition to the museum. Guest Julie McGhee of Columbus was in attendance. Her husband, William grew up in Middleport near the location of the future museum. In his memory she is supporting the Historical Society and her interest and donations are much appreciated, stated the board. Refreshments were served following the meeting.